A design problem common to all gardens, but specially relevant to small private ones, is what to do with the different places that surround the home. This question invariably appears in suburban plots typified by means of a front and back garden divided by the home, and an entrance way between the two. 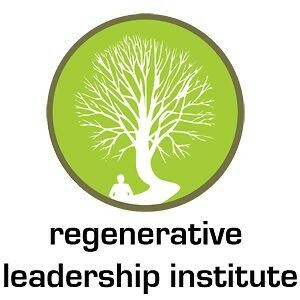 One option Regenerative Leadership Institute regularly used, would be to adopt the same method in both the back and front gardens, like a yard surrounded by planting beds, with a fruit or shade tree put here or there. Another tactic will be to style the separate areas completely differently, thereby effectively creating two or more gardens for the plot. A fantastic way of testing the suitability of a design option will be to ask the query - "If I do this, does it conform to the six main principles of good design, namely, equilibrium, scale, emphasis, simplicity, uniformity and variety?" The last two, uniformity and variety are the principles that most concern us here. Where 2 or more parts of the plot follow basically the same routine, it may be said that there is uniformity. However, what about variety? It can compared to going to a restaurant and selecting the same dish for both the first and main courses, although different areas of-the garden feature varied elements within themselves, such as grass, flower beds, trees and shrubs. Or like a band playing the same tune twice at a concert! The truth is as a whole the backyard would lack variety. The opposite extreme should be to make each individual part of the plot thoroughly different from each other. A restrained, Japanese garden in the front, a verdant tropical garden in the rear, as well as a desert cactus garden in the entryway to the house. So here are a few possible answers to the inquiry. *The visually independent parts of the garden conform to one unique style, like Mediterranean or Oriental, but clear differences are yet noticeable between them. The idea of "variation on a theme" replies simultaneously to both the needs of uniformity and variety. * In cases where you can find more than two distinct areas, then one of these could be put aside for specialist plants like cacti, as previously described, while the other sections relate to each other in some way. In such a position, I believe it is very important to choose plants exclusively for the specialist garden, without including species from the other spots.